A month after updating the mobile and desktop versions of its consumer database products, FileMaker is turning its attention to the pro side of things. On Wednesday, the company updated the iPhone and iPad versions of FileMaker Go, adding digital signature capture capabilities, the ability to view and edit charts, and AirPrint support to the mobile database app. First unveiled last summer, FileMaker Go is the mobile companion to the database software maker’s FileMaker Pro offering for desktops. Available in separate versions for the iPad and iPhone, FileMaker Go lets users work remotely with FileMaker Pro databases, enabling them to view, edit, and search for information from their iOS device. Leading the changes to the Version 1.2 update rolled out Wednesday is the ability to capture digital signatures in FileMaker databases on a mobile device. Once captured in a container field, the signature can be exported to a desktop or uploaded to FileMaker Server-hosted databases. 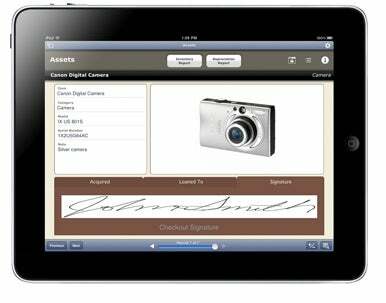 FileMaker Go 1.2 adds the ability to capture signatures in databases on your iPad, iPhone, or iPod touch. “It’s a really slick feature,” FileMaker vice president of marketing and services Ryan Rosenberg told Macworld. “Anybody can add [signature capture]… you’re just adding a field to a database.” FileMaker thinks mobile signature capture capabilities will appeal to users who build databases for field surveys, delivery tracking, and contracts. 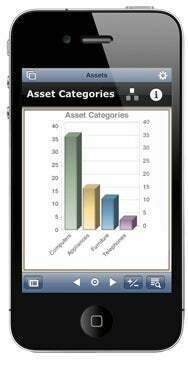 FileMaker Go now lets you view and edit charts on your mobile device. FileMaker Go 1.2 also adds support for the charting tools introduced in 2010’s FileMaker Pro 11 update. Mobile users can view and edit charts created in FileMaker Pro 11, with support for bar, line, area, and pie charts. The company says that chart data can come from FileMaker Pro or be passed through from SQL sources. Finally, FileMaker Go supports AirPrint, the wireless printing capability introduced in iOS 4.2. AirPrint support allows FileMaker Go users to send reports, forms, and labels directly from their mobile device to any AirPrint-enabled printer. Included with the printing features are enhanced PDF creation capabilities that let users save and e-mail print-ready files from their iPhone or iPad. The iPhone and iPad updates are free to existing users. FileMaker Go 1.2 for the iPhone costs $20 while the iPad version is a $40 download. The mobile software runs on iOS 4.2.1 or later and supports the FileMaker Pro 7 file format or higher; you’ll need FileMaker Pro 11 to take advantage of the new chart features. The FileMaker Go updates come out well after the last major overhaul to the company’s desktop database software—a contrast to last month’s Bento update, which saw both the desktop and mobile versions of the consumer database program simultaneously pick up new features. Look for FileMaker to eventually take that approach with its more business-focused products as well. The FileMaker Go updates arrive as the company is making more of a push to tout its mobile products as a way for businesses to quickly develop custom solutions for iOS devices. The company’s Website currently touts FileMaker Starter Solutions for managing contacts, assets, and documents from iOS devices. “Real people can do a database with FileMaker,” Rosenberg said. “Objective-C is not an option for them, but they can use [FileMaker’s] Starter Solutions” to tackle business tasks.